It’s a little-known fact among Londoners in general (and a very well-known fact among cigar aficionados in particular) that there’s still a handful of publicly accessible places in the city where you can legally smoke indoors. Just one stipu­lation applies in these select few spots: you have to buy a cigar and smoke it with a view to purchasing more (though you’re not compelled to do the latter). At JJ Fox you can even sample the merchandise while seated in the very same chair that Winston Churchill used for that purpose. Christopher Lewis founded a tobacconist’s at 14 Long Acre in 1787 and not long after­wards his cousin Robert Lewis, a pharma­ceutical drug broker, stepped in to help save the ailing company from bankruptcy. Thereafter, the business moved premises and changed hands several times before settling down at its present location in the 1840s. 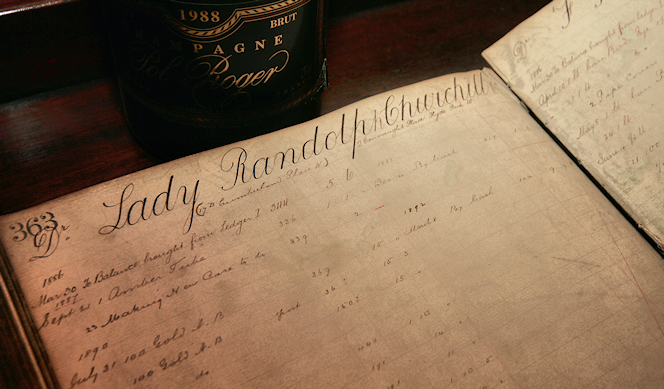 By the late 19th century it was co-owned by another Robert Lewis – whom it is believed was a relation of the original founders, but surpris­ingly this connection hasn’t been confirmed. Robert Lewis first sold a box of cigars (50 Bock Giraldas) to Winston Churchill in August 1900 and the great statesman remained a loyal customer until his death in 1964. In 1992 the store was acquired by compet­itors James J Fox, a business founded in Dublin in 1881 and which opened its first London branch in 1947. 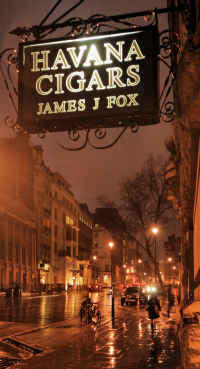 Fox’s ground floor is devoted to the sale of cigars, pipes and pipe tobacco, smoking paraphernalia and a limited range of superior cigar­ettes. At the rear there’s a walk-in humidor with a vast collection of cigars – mostly from Cuba. Some are stagger­ingly expensive but there are also various ‘budget cigars for the beginner’. Downstairs there’s a dimin­utive museum in which the proudest Robert Lewis and JJ Fox heirlooms are displayed. These include vintage cigars (among them a box made in 1851 for the Great Exhibition), antique accessories, old photo­graphs and a collection of memor­abilia associated with illus­trious former customers, including Churchill, Oscar Wilde and numerous royals. The museum’s cramped dimen­sions mean that many exhibits are packed a little too closely together inside their glass cases, and without as much descriptive inform­ation as one might like, but that adds to the room’s sense of intimacy. It feels more like a private collector’s den than a museum. Although you can smoke in the museum, the main smoking area is on the first floor, where a former stock room has been pleas­ingly converted and filled with comfortably upholstered seating. Tea and coffee are available.